"We can't trust anyone now." Netflix has debuted an official trailer for a horror thriller titled The Silence, from filmmaker John R. Leonetti (Annabelle). Although the description for this sounds a lot like A Quiet Place, the novel it's based on was actually written years before that movie was made. 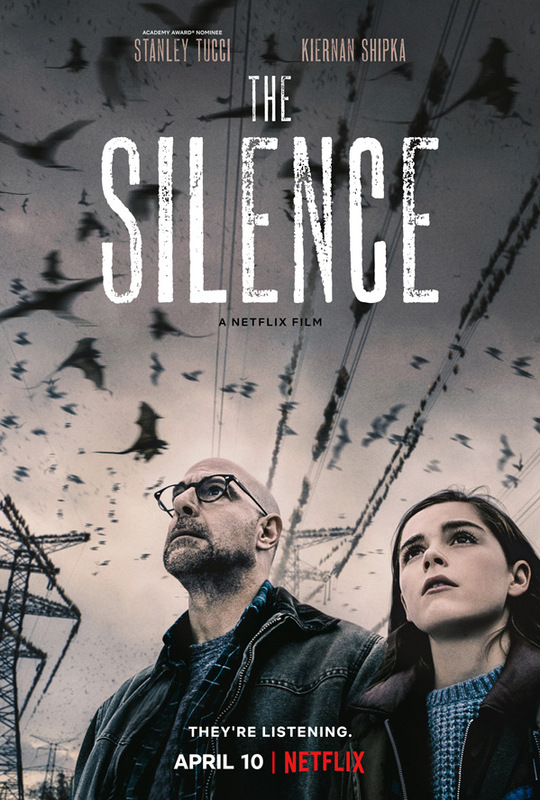 The Silence tells the story of a family struggling to survive in a world terrorized by a deadly, primeval species of bat, hunting only with their acute hearing. As the family seeks refuge in a remote haven where they can wait out the invasion, they start to wonder what kind of world will remain when they're ready to emerge. Starring Stanley Tucci, Kiernan Shipka, Miranda Otto, John Corbett, Kate Trotter, and Kyle Breitkopf. This looks way more intense and horrifying than A Quiet Place, with a much scarier apocalyptic feel. Those darn crazy bats. When the world is under attack from terrifying creatures (a lethal bat called Vesps) who hunt their human prey by sound, 16-year old Ally Andrews (Kiernan Shipka), who lost her hearing a few years before, and her family seek refuge in a remote haven. But they discover a sinister cult who are eager to exploit Ally's heightened senses. 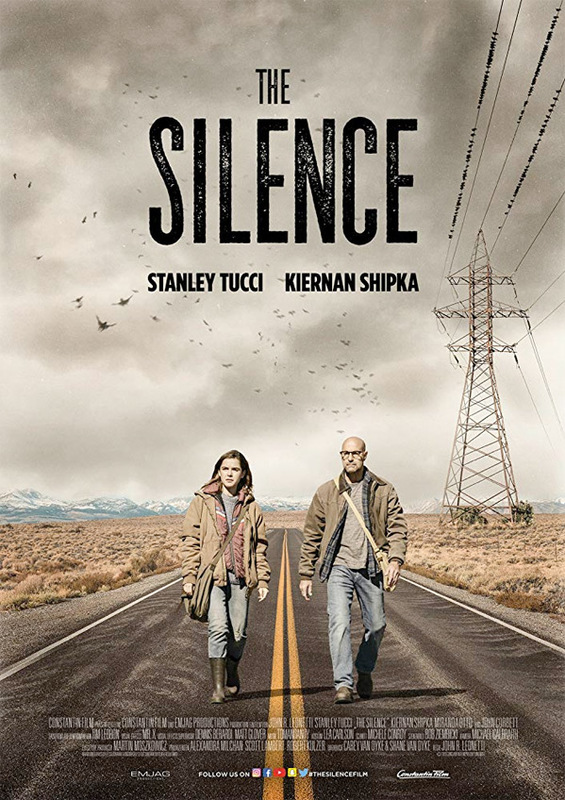 The Silence is directed by filmmaker & cinematographer John R. Leonetti, director of the films Mortal Kombat: Annihilation, The Butterfly Effect 2, Annabelle, Wolves at the Door, and Wish Upon previously. The screenplay is by Carey Van Dyke & Shane Van Dyke, adapted from Tim Lebbon's novel of the same name. Netflix will premiere Leonetti's The Silence streaming exclusively starting on April 10th.